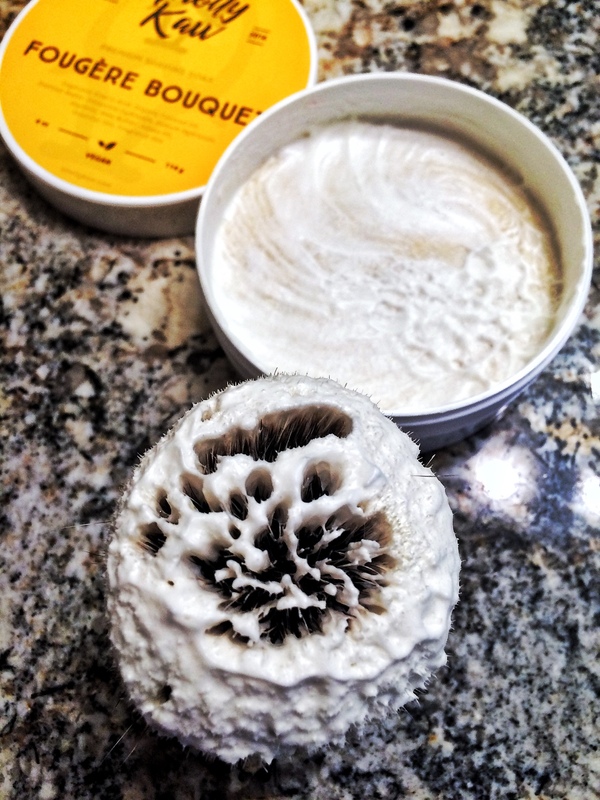 Im a little bit surprised for not seeing this shaving soap more often on the SOTD. If you love the Penhaligons Blenheim Bouquet scent , then , you have reasons to be happy. 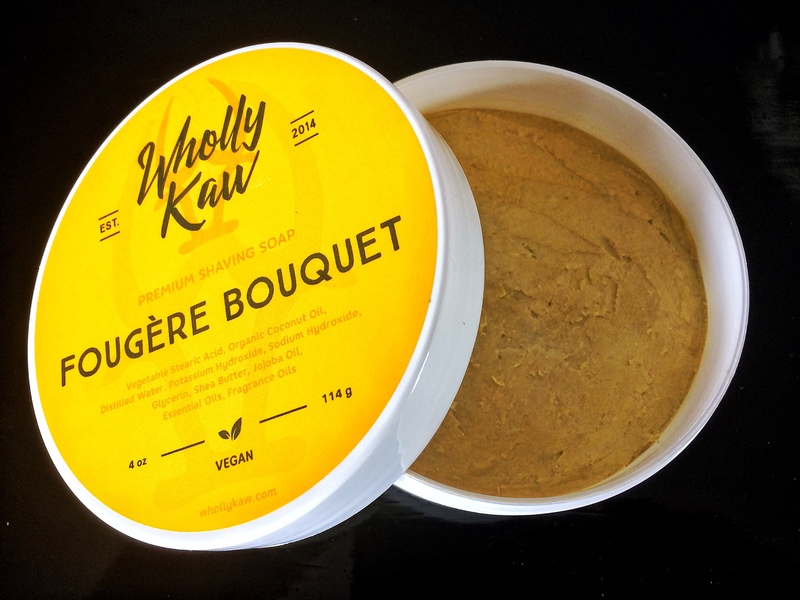 A good friend of mine told me that the new Vegan formula used by Wholly Kaw is as good as the tallow based ones.Let me tell you that I'm not more partial to Tallow over veggie based soaps or the other way around : I simply want a soap that it contains quality ingredients and is well formulated.And this is one of them. 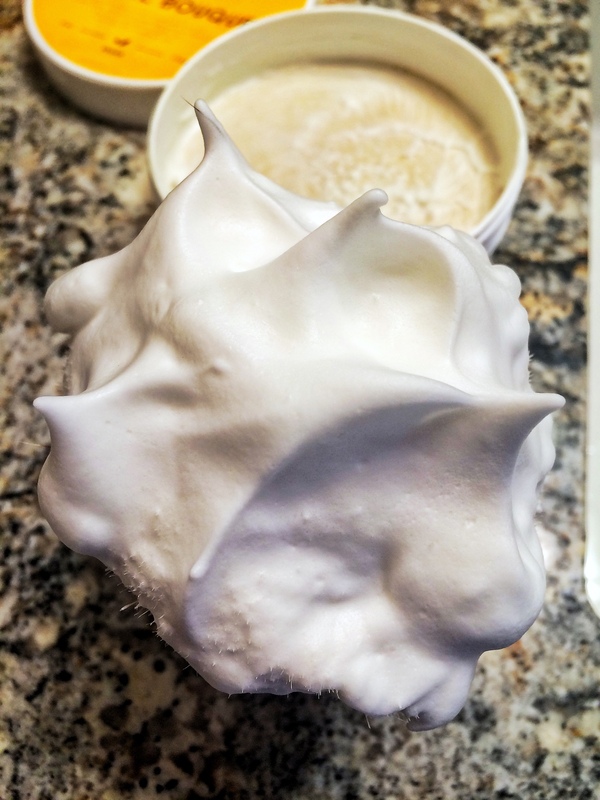 This soap comes on a plastic jar with a very bright full yellow sticker which truly gives you an idea of what you're going to find inside : 4 oz of a superb scented shaving soap. This soap makes a extra thick and slick lather.I find that sometimes thick lather is not slick.This is not the case : the Jojoba Oil seems to create that extra slickness. My skin doesn't lies : if a product doesn't contains the right ingredients and don't use pre shave oil , goes really dry after my shave.Again , it wasn't the case with this soap.Perfect nourished after it and no extra dryness or red spots anywhere. And something that I truly enjoy about this soap is the scent.Penhaligons Blenheim Bouquet revisited.I say that because is based on Sir Winston Churchill favorite scent but even more manly.The notes are fresh but deeper , I don't know how to express it better.Smells like BB but with more of a complex open , middle and finishing notes.I find it to be a winner on my list , like the Asylum Neroli and Black Pepper , Colonia Mediterranea by CRSW , Tallow and Steel Classic and WSP Mahogany.Each of those soaps smells different but has something in common : was love at first sniff for me.This have been too. Very impressed with this vegan soap.Wholly Kaw have shown that veggie or tallow based , if a soap is well formulated , then is going to be a success.Well done. Thanks for the review! 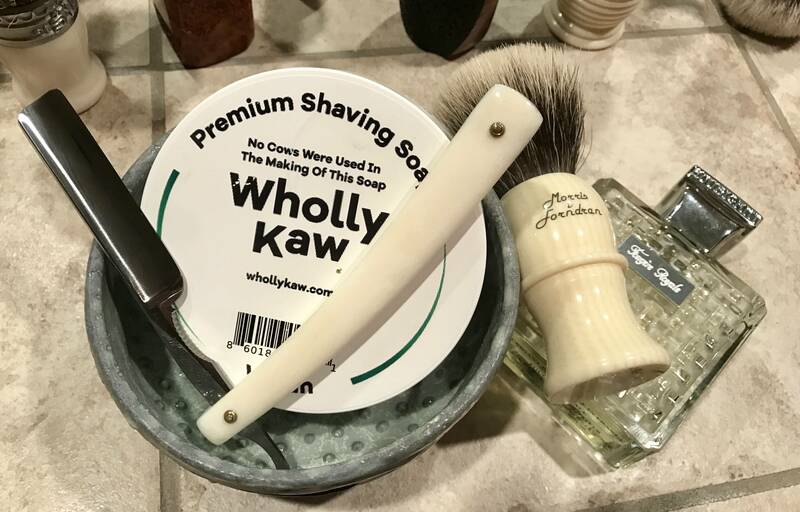 Wholly Kaw does make an excellent product I have the splash for this one but have yet to pick up the soap. Scent is fantastic! Superb scent too, one of my favorites. I have the Tallow version, I haven't use it yet as I have a huge backlog of new soaps. But I did a test lather and man did it looks like it perform excellently. On their website, I only see the tallow/lanolin version. How do I buy the vegan one in this scent? (03-13-2017, 08:46 AM)Nero Wrote: On their website, I only see the tallow/lanolin version. How do I buy the vegan one in this scent? You can choose between the tallow and vegan version , my friend.It gives you the option on a small box. 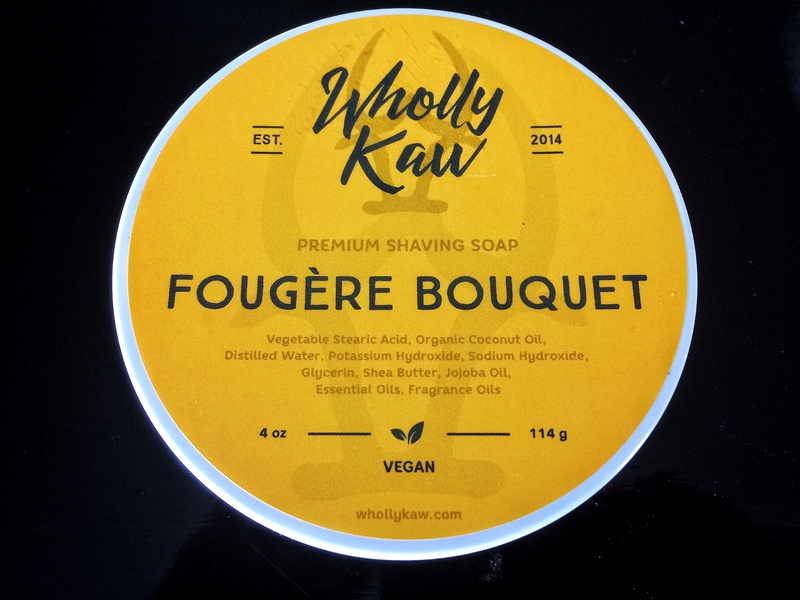 Wholly Kaw Fougère Bouquet - Vegan is one of my favorites in terms of performance and fragrance. Can anyone that has used both the Tallow and Vegan versions of the Wholly Kaw comment on which has better performance?